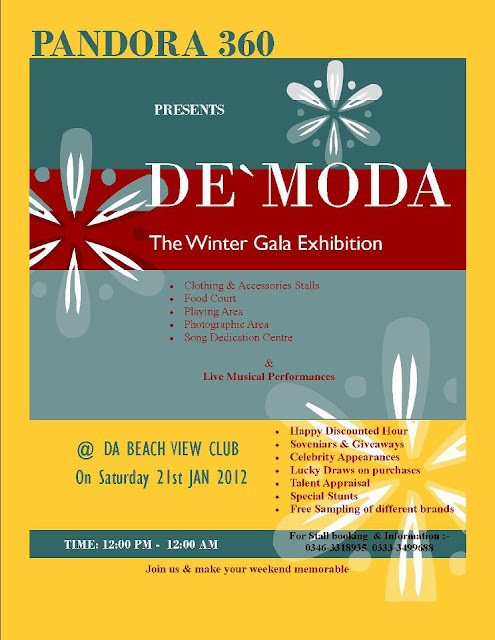 De’ MODA is a branded entertainment environment providing activities and opportunities for every brand to come face to face with other brand and sale their stock and on or off season garments, either of that we also have a place for accessories brands, food brands and shoe brands etc. Either of that we also are providing lots of fun and activities for audience. i.e. • Clothing stalls (male/female and kids). • Jumping castle, face paintings and other games for kids. Complete media coverage will be provided through 5 different channel all around the clock!!! Join us on the holidays and make your memories rememberable for the rest of your lives!! !